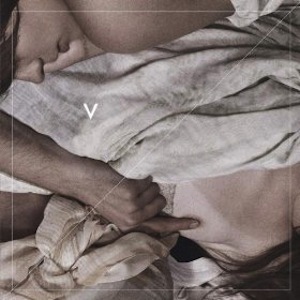 Violens are New York’s preeminent pop classicists. You might be tempted to shrug them off as yet another eighties revival gang (which at this point verges slightly on the uncool), but the Duran Duran echoes of their second proper LP are only the tip of the iceberg. What lies beneath is incorrigible devotion to formal beauty of pop songsmanship: the group’s principal songwriter, Jorge Elbrecht, has an uncanny touch for melody, harmony and counterpoint, making Violens’ songs recall times when structural innovation and catchiness went hand in hand. The album’s opening track, “Totally True,” outlines their sound in a nutshell: jangly guitars hold up angelic, multi-vocal hooks that recall the sophisti-pop standard-bearers Prefab Sprout. In the songs that follow we can hear subtle nods to shoegaze (“All Night Low”), The La‘s (in one of the album’s standouts, “When To Let Go”), and even Disco Inferno‘s “The Last Dance” (in the penultimate track). And while the LP’s eclecticism and immaculate production are impressive, it is the outstanding songwriting that ties it all together, in what is certainly one of the strongest full-length efforts released this year so far.